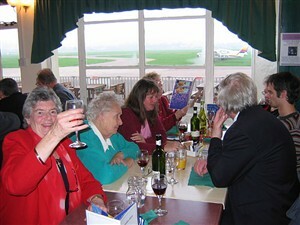 In June 2005 we were all saddened and shocked to hear of the death of our dear friend and U3A Chairman Carol Thomson. To those of us who knew her she was an inspiration. Her energy and enthusiasm affected us all. 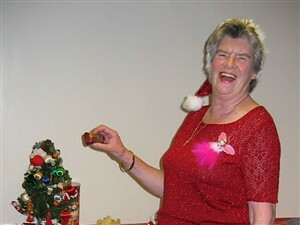 Her dedication to U3A and to all the other projects she was involved in was tireless. She was a trustee of St Georges' Crypt and was always on hand if she was required. In fact, on the morning that she was due to go into hospital for her heart operation, she was helping out in the café, because they were short staffed. She was a devout Roman Catholic and regularly escorted a party of people to Lourdes. On one occasion, as they were waiting to board the plane, she tripped and broke her arm, but she wouldn't let that deter her. She carried on with the journey and attended a hospital once her "charges" were safe and sound. This was the Carol that we all knew and loved, putting the care and comfort of others, especially the elderly and disabled, before herself. 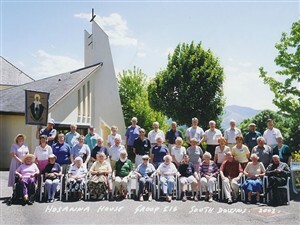 Over 250 people, who had been touched by her in some way or other, attended her funeral. All of us had our own stories to tell, but I think the legacy she has left behind is one of dedication, energy and endless enthusiasm, coupled with cheerfulness and a ready laugh. I am sure that all her friends and colleagues feel privileged to have known such a very special lady. This page was added on 19/07/2006.